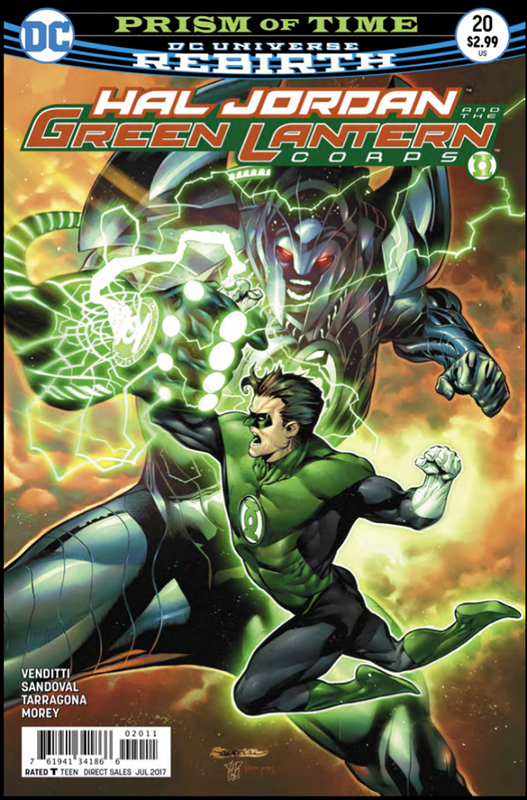 Hal Jordan and the Green Lantern Corps #20 – AiPT! “Prism of Time” Part 3 continues as Hal Jordan and the Green and Yellow Lantern Corps defend Mogo and themselves from the mysterious beasts from the future. The issue is a lot more action packed than some of the previous issues. John Stewart really shines in this issue which is great because with all the spotlight on the other Lanterns right now he really needed to set the bar sooner rather than later. John Stewart is someone I haven’t really cared for as Corps leader; I feel like he’s not as interesting as Hal Jordon, Kyle Rayner, or even Guy Gardner at this point. Out of every Green Lantern John Stewart hasn’t really had much character development other than him just giving orders to Lanterns left and right. He just seems like that older drill sergeant from the movies who’s only there to look angry. Hal Jordan and the Green Lantern Corps #20, however opens up strong with John Stewart delivering some powerful pieces of dialogue about himself and who the Green Lantern Corps are. Stewart shows more leadership in this issue then I think he’s ever shown before. When he speaks to both the Green and Yellow Lantern Corps it’s almost as if he’s a Maestro and the Corps are his orchestra and this issue executed that vibe perfectly giving me a lot more hope for the character. The issue featured excellent writing from Robert Venditti whose narrative combined well with Rafa Sandoval’s art to proffer some great emotional dialog and action sequences. I wish the issue featured a little more Kyle Rayner, but I guess with everything going on there really isn’t much room to dig deeper into the little love interest between he and Soranik. Sarko is just an all around great villain so far, but he seems to just spout dialogue while his monsters do everything else (and all the work). It’s still uncertain what he can do. I really enjoyed this book and I can definitely see myself reading the Prism of Time story over again after it’s completed. 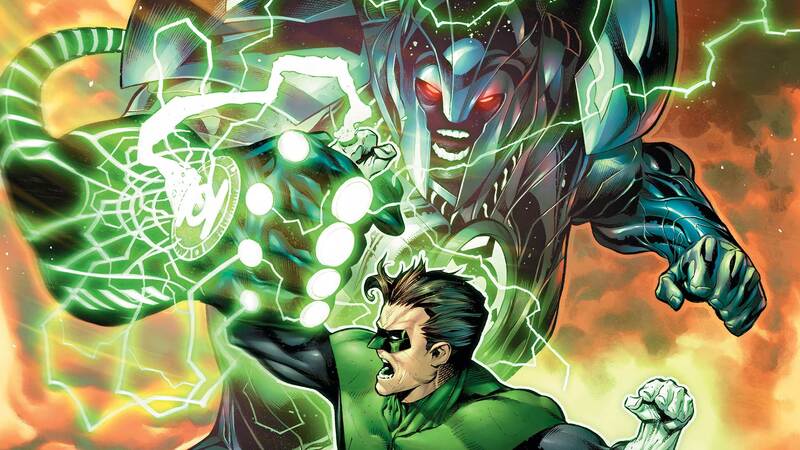 Hal Jordan and the Green Lantern Corps #20 is a suspenseful and action packed issue that GL (and especially John Stewart) fans shouldn't miss. I was disapointed we still didn't get to see much of Sarko. That doesn't affect the story at all but he doesn't seem to do much but monologue.